The Canadian military currently has about 88,000 active personnel serving our beautiful country. We are fortunate to have such a dedicated and well-trained force of people ensuring the safety of our country. For each of those 88,000 military personnel is a network of family members and loved ones who support them on a daily basis. While members are away on deployments, trainings and exercises, these are the family members who stay behind to look after children, make sure the bills are paid, ensure that houses are maintained, to mow, rake and shovel. These are the people who hold down the proverbial fort so their loved ones can serve. One of the biggest challenges for military families is the reality of being posted every few years. With some postings as short as a year, this means quickly packing up a life – including furniture, children, careers, hopes and dreams – and moving them across the country. Add to that a myriad of compounding factors including those more common stressors (financial strain, unpredictable housing markets, increasing debts) and those unique stressors of military life (combat-related illnesses and injuries, higher than average rates of depression and generalized anxiety disorder) and you may wonder how these families manage to stay healthy and connected through multiple postings. Despite the unpredictable and stressful world that military families navigate, they are some of the most resilient people I have ever met. These are the women, men and children who love someone in the military. And these are the women, men and children who continue to thrive and grow despite the constant upheavals to their lives. In my professional life as a music therapist, I’ve had the pleasure of working with military children and getting to know their unique struggles. I won’t lie – it’s been hard. And I’ve struggled. However, I’ve met many military families who are not only making it work, but thriving! A few weeks ago, I saw a magazine at the local military family centre with a headline that read: “Live today like they deploy tomorrow.” Although ominous, it was a good reminder. We can make all the plans we want, however the truth is that we only have today. Military families understand how important it is to live in the present moment. Deployments and trainings can happen unexpectedly. So it is important to make good use of the time that you have together. Research has shown that living in the moment is an important part of staying healthy and it can help to increase our resilience. Check out this great post by Grace Bullock on how being present can help buffer the effects of stress. I was working with a young boy whose father was deployed. Every week he would remind me that his father was returning in X number of days. Although I knew that he was anxious about his father being away and that he had been cautioned about how unpredictable deployments could be, he always chose to be hopeful about his father’s return. Even though the situation may be scary or uncertain, military families know that optimism about the future is the best option. This area of psychology is called “Positive psychology” and was originally developed by Dr. Martin Seligman who showed that optimism is not always a natural predisposition but – and here’s the good news – it can be learned. 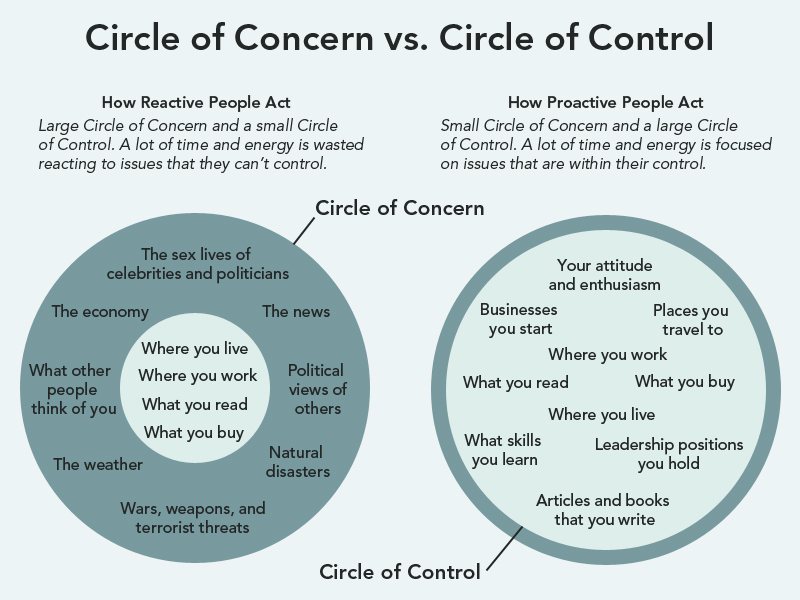 It’s important to avoid getting caught up in things outside of our control (see Stephen Covey’s work on circles of concern and influence). If we do not have influence over something, the feelings that we have about it (whether we’re excited and hopeful, or terrified and anxious) are irrelevant to the outcome. So, if we don’t know what’s going to happen, why not choose to be hopeful about it? At the very least, it makes for a better sleep at night. Upon arriving at a new posting, we always receive a folder stuffed with resources and information from our local Military Family Resource Center. As a military family, we’re fortunate to have access to a large network of people and services built around providing support. Military families know that being a lone wolf is not a sustainable or healthy option. Research has shown that loneliness hurts and – at its worst – being lonely can be dangerous. A study by Holt-Lunstad, Smith & Layton (2010) concluded that people were more likely to die from loneliness than physical inactivity and obesity. Child Trauma expert Dr. Bruce Perry has famously said that “There is no more effective neurobiological intervention than a safe relationship.” Humans are social animals and we thrive through connection. Finding supportive relationships can be a challenge for more introverted military family members who do not have the built-in social structure of work that their serving spouses do. But making connections is essential for everyone’s physical and emotional well-being. Military families know this and that’s why its always one of the first steps of a new posting. I’ve met military spouses with some of the most amazing and interesting skills – writers, bloggers, some who are bilingual and trilingual, musicians, artists, world-travelers – and all of this in addition to their careers and their parental roles. For those who have a family member whose life is inextricably linked to their job – whether that be military, police, justice, EMS – it can be easy to lose your identity in the role of military wife or police husband. These are titles that are worn with pride – however, it can be easy to get swept away by your supporting role. Research has shown that having a sense of purpose and meaning to your life is linked to positive health outcomes. Check out this great article by Amy Morin about finding purpose and meaning. Military families know that in order to stay healthy and sane during difficult times, they must carve out their own niche and find time to focus on their own growth and happiness. I recently met a military spouse who had just returned from a particularly rural posting. Despite the challenges of being posted to a more isolated base (including lack of family support, few job opportunities, etc. ), she proceeded to tell me how grateful she was for that posting because it gave her time to re-connect with her children. If you’ve never been to Happy Valley-Goose Bay, Labrador, let me paint you a picture. At a population of a whopping 8,000, it is considered to be the largest population centre in its area. The weather forecast predicts snowfall in 10 out of 12 months of the year. And yet, despite these challenges, this spouse was grateful for her time there. I’ll admit that gratitude has never been my forte. Luckily, there is a wealth of resources to teach us how to cultivate gratitude. Author Gretchen Rubin wrote a fascinating book called “The Happiness Project” where she reports on a full year commitment to tracking and focusings on happiness and gratitude. Learn more on her blog. As a military spouse, these are lessons that I’m still learning. And they are lessons that I hope to one day master. Speaking of gratitude, I am grateful that resiliency is a skill that can be learned. I like to picture it as a life-long workout. After each new posting, I get a chance to flex my flexibility muscle and show up just a little stronger and more resilient than before. Subscribe now to find out when a new blog is released.